Platform: 360 Ratatouille is based on the Disney/Pixar film and brings the fun and laughs of the movie to your Xbox 360. Ratatouille features an acrobatic rat named Remy who must balance his love for cooking with loyalty to his family. Features major voice talent from the film. Relive the movie's best action scenes through the eyes of Remy and Emile. Smell your way through each adventure using Scent-a-Vision. Five different action-packed worlds to explore. 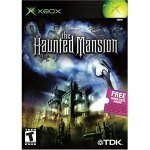 Over 20 challenging missions and mini-games. Go head-to-head with multiplayer games. Platform: 360 Disney's Meet the Robinsons is great time-traveling action & adventure, based on the Walt Disney Pictures animated film. Become Wilbur Robinson, the brilliant inventor whose time machine has been stolen. Chase the dastardly Bowler Hat Guy and his diabolical robotic hat Doris through multiple timelines to thwart their evil plans. This game expands the Robinson world and offers an all-new adventure. Wilbur will have a host of gadgets at his disposal as he battles enemies and solves puzzles while pursuing Bowler Hat Guy and trying not to alter the future. Experience large-scale, stunning environments like the Robinson's House, Lewis's science fair, Lizzie's Ant Underworld and much more. Travel through time to alter the past and affect the future, interacting with the characters from the movie. Utilize and Upgrade the game's cool gadgets, like the Chargeball Glove, Disassembler, Scanner, Family Album, Havoc Gloves and Levitation Emitting Volume. Solve puzzles and complete missions, discovering hidden upgrades, new items, and adventure areas in an interactive environment. Play various Charge Ball mini-games and collect Virtual Reality discs to Download new courts. 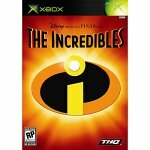 Platform: The Incredibles brings home the fun and adventure of the hit animated film! A super-powered family is trying to live a quiet life in the suburbs, when they're forced into action to save the world. Live up to your superhero name and be incredible -- the world(and your family) is counting on you! Platform: He's Back! Get ready for a whole new Nightmare. Take on Oogie Boogie and his henchmen armed with the amazing soul robber. Explore an amazing world with a visual experience like no other, together with unique gameplay styles and attack modes. Interact with a freakish cast of characters including Dr. Finklestein, Lock, Shock and Barrel and more.